Description: xiii, 235 pages ; 22 cm. Contents: This monkey, my back / T. Coraghessan Boyle -- View of writing fiction from the rear window / Doris Grumbach -- Smallness and invention; or, what I learned at the Iowa Writers' Workshop / Ethan Canin -- Ralston / Stuart Dybek -- Widow speaks / Jayne Anne Phillips -- Not knowing / Fred G. Leebron -- If I could be like Mike / Tom Grimes -- Mr. brain, he want a song / Barry Hannah -- Wise fool / Susan Power -- Hidden machinery / Margot Livesey -- Communal solitude / Geoffrey Wolff -- Resistance / Deborah Eisenberg. Writing life / William Lashner -- On details / Francine Prose -- Lottery ticket / Elizabeth McCracken -- Diminished creatures / Marilynne Robinson -- Why I bother / James Hynes -- Difference between being good and being a good writer / Scott Spencer -- Workshopping lucius mummius / James Alan McPherson -- Dead man / Justin Cronin -- Cowpaths / Abraham Verghese -- Eleventh draft / Chris Offutt -- Seattle, 1974: writing and place / Charles D'Ambrosio. Subjects: Authorship. Creative writing (Higher education) -- Iowa -- History -- 20th century. Iowa Writers' Workshop. Creative writing (Higher education). Iowa. 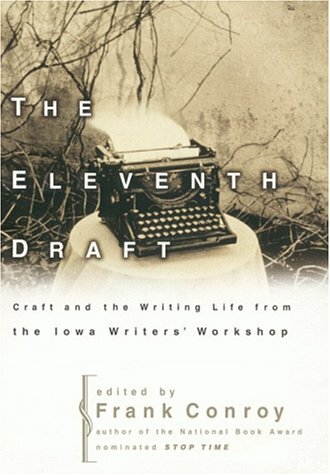 Professors and graduates of the highly acclaimed Iowa Writer's Workshop, including T. Coraghesson Boyle and Doris Grumbach, offer insightful essays on the craft of writing and on the writing life.